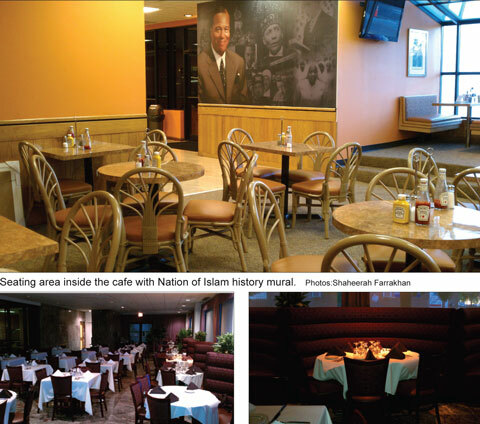 CHICAGO (FinalCall.com) - The jewel of 79th street is returning with the early July reopening of the Nation of Islam built Salaam restaurant. Calvin Hollins, the new executive director, said the $5 million Salaam restaurant will officially reopen for business July 6 and July 7. 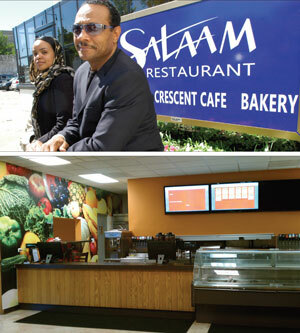 The reborn Salaam includes three restaurants under one roof: A bakery, the Crescent Café and Fine Dining. That means a choice of coffee and pastries, casual dining, or a special night on the town in the upstairs dining room. “I think anyone off the street who comes into this facility will find something palatable to their needs and their likes,” said Mr. Hollins. Many of the products offered will be from farms owned by the Nation and from Black farmers around the country, explained Mr. Hollins. The menu will include longtime favorites such as Bean Pie and bean soup to go alongside special choices for vegetarians and lovers of fine cuisine. Min. Farrakhan could have placed the multi-million dollar facility anywhere but chose to build and keep it in the Englewood and Auburn-Gresham neighborhood, said Mr. Hollins. That shows a commitment that should be respected and applauded, he added. In a neighborhood with challenges, the Salaam will serve as a light, a meeting place and an example of Black pride and possibility. “I believe the restaurant is a reflection of who we are in this community and its struggle. Seeing what it has been during the construction until now, it’s a change in us as well as in our community. When they see that the restaurant is opening again, they know there is always more to expect. We open the doors and we just bring everyone in,” said Sis. Carla X. People come in everyday to inquire about the restaurant and share memories from its original opening in the mid-1990s, she added. The restaurant was closed for a over a decade but its reopening was always in the hearts of Muslims and Blacks in Chicago and other parts of the country. Mr. Hollins has opened over 17 restaurants in recent years, including Jermaine Dupree’s restaurant in Atlanta, Charles Oakley’s restaurant in Cleveland and Andre Dawson’s restaurant in Milwaukee. An experienced restaurateur, Mr. Hollins has made somewhat of a comeback. Last year an appeals court threw out convictions against him and a business partner related to a 2003 tragedy at their E2 night club. Twenty-one people died after a fight, stampede and ensuing panic involving pepper spray and screams of a terror attack. A defense attorney said the two men were scapegoated as police and fire recues failed. “I think this facility will end up being landmark in Chicago. This is a fun-filled restaurant that is owned by the Nation,” said Mr. Hollins. He is proud of the experienced cooking staff and happy to showcase quality food and high quality service. “There is no facility like this in our community,” Mr. Hollins noted. The upstairs has a soft, exotic feel and is breathtaking, he said. The downstairs bakery and café are bright and airy, while the first floor atrium is tastefully appointed with linen napkins, table cloths and place settings. Chicago has restaurants but some historic establishments, including Army and Lou’s, Izola’s, Gladys’ have gone out of business, Mr. Hollins said. “Our facility gives us that ability once again on the family aspects and as well as the business aspects of Chicago. We have a facility here that can rival anyone, we can have business meetings here, we have weddings here, we have baby showers here, the list is endless,” he said. “People can come to our facility and see that it’s not just for the Nation but for all people of all walks of life in Chicago. I am looking to reach out from Evanston to Schaumburg to anywhere they would chose to have a nice place to dine and enjoy,” he added. Future plans calls for a Sunday gospel brunch and monthly dinner shows with top talent. The new Salaam includes photos and murals with pictures of historic figures and events, including the 1995 Million Man March, convened by Min. Farrakhan and the largest public gathering in U.S. history. The décor, the food and service add up to one thing: “Welcome, welcome, welcome to all,” said Mr. Hollins with a smile.